The QGI Northern Lights group meets at Bleary Farmers` Hall, Upper Ballydougan Road, off the B3 between Lurgan and Gilford. Map and directions below. We meet on the 3rd Tuesday of the month, 7.00 – 9.30 p.m. from September to May, excluding December and January. 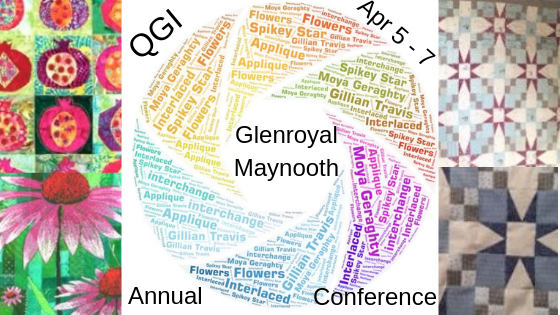 We organise all-day Saturday workshops, usually one in autumn and one in spring and have Sewing Saturdays, where members bring their own projects to get on with, in January and then usually a week or so after the QGI Conference so we can go on with what we started there. The February meeting is a Come &amp; Try night when 5 or 6 members demonstrate a technique or hold quick mini workshops. 3rd Tuesdays might shift if Easter or other holiday gets in the way. In November 2011 we had our 10th Anniversary Supper and were delighted to welcome Frances Sawaya and her husband to our festivities. Frances has written an article about us which has appeared in the June 2012 edition of Gaye Grant`s Irish Quilt & Craft magazine. 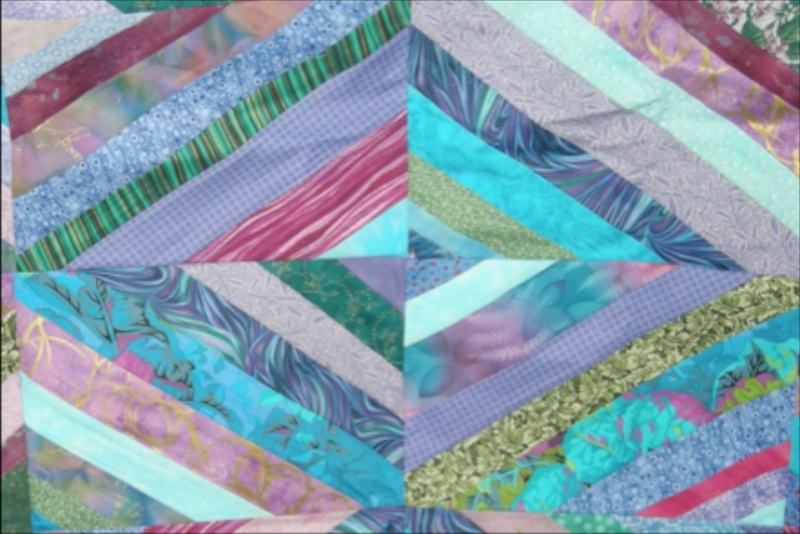 Pauline Russell talks about her quilts and other craft creations. Sew your Linus quilts or your own projects. Come & Try, Again! Demos, ideas, mini-mini workshops. Another day to sew your own projects. Karen Strachan from Fiddlesticks Fabrics: mini-(hand)workshop + kit. Easy-cut Log Cabin Workshop with Gaye Grant. Visit to Lynda Jackson`s Cotton Shed – tea, chat, demo, shopping. Tuesdays 7.00 for 7.30 p.m., Saturdays 10.00 a.m. Directions: (from Belfast direction) Come off A1 at first turn-off into Banbridge. At first major set of lights, (big church on corner diagonally opposite), turn right up the Lurgan Road, on out through Seapatrick and Laurencetown and follow the signs to Gilford. Now you are onto my map! It is about 2 miles from Gilford to the Upper Ballydougan Road. From Lurgan take the road towards Banbridge (A26) and at the first roundabout follow the sign for Gilford (B3). If coming from the M1, come in through the town centre and keep going until you see sign for Banbridge.